2007 Japanese edition of the grown-up boy band's first outing as a quartet includes the bonus track 'Nowhere To Go'. The set was produced by John Shanks (known for his work with Sheryl Crow, Michelle Branch, Ashley Simpson, Bon Jovi and Rod Stewart), with most of the songs being composed by the members of the group. Sony-BMG.Start the new album will be the first step of the new Backstreet Boys was organized four newborn! The 1st single "In-scalable console ー", full of the best melody of all strike a chord with those listening as well as previous work! topic work enter one's name to one of the producer John Shanks also a super-hit maker has been working as well as Bon Jovi and rod Stewart, Sheryl Crow, Michelle Branch, from Ashlee Simpson. 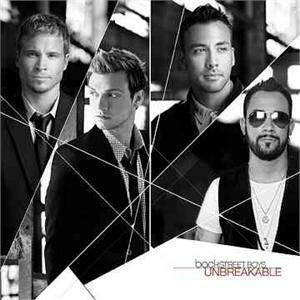 Japan pre-release (planned).Advanced Japanese release of the new full-length album from the Backstreet Boys includes the new four-member group's first single "Inconsolable" and more. Japanese edition includes Japan-only bonus track (details subject to change).